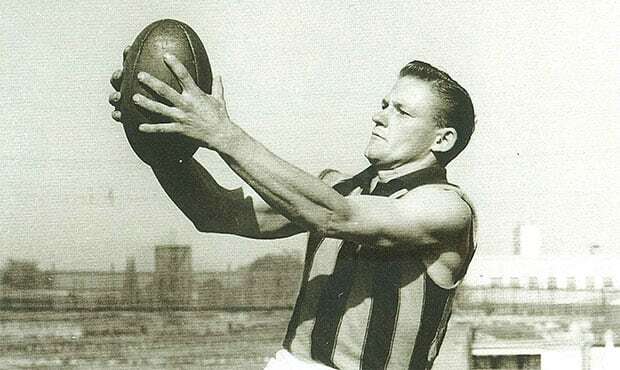 Recruited from East Camberwell YCW, John Kennedy Snr won the Club’s Best and Fairest Award four times in his first five years as a player such was the worth of both his play and leadership to the team. Kennedy’s philosophies and approach to training would see him develop into one of the game’s greatest coaches. 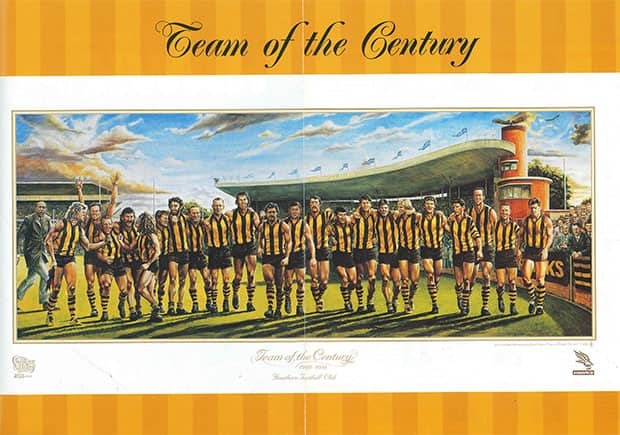 The 1961 Premiership, the Club’s first, epitomized the Kennedy spirit. This was followed by premierships in 1971 and 1976. In later years, he became an elder spokesman for the game serving as Chairman of the AFL Commission. Captain: 1992-93. Premierships: 1983, 86, 88, 89, 91. Night premierships: 1985, 86, 88, 91, 92. Finals appearances: 27. Awards: Six-time interstate representative; 1986 Club Champion; 1986, 88 Norm Smith Medallist. 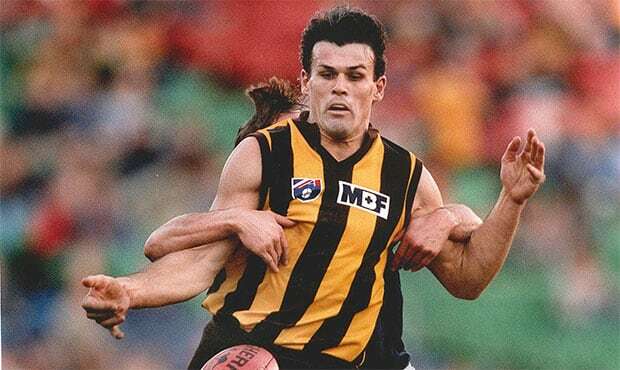 Ayres was a fearless defender who played in five premierships with the Hawks. Coach Allan Jeans once described him as a good driver in heavy traffic, a tribute to his ability to manage pressure situations. 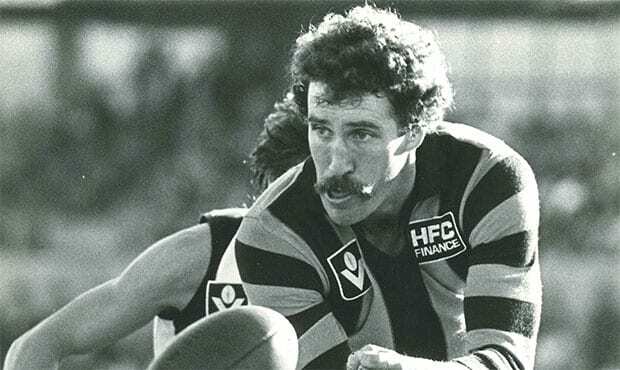 Ayres won the 1986 Norm Smith Medal and then created history with his best afield performance in the 1988 grand final against Melbourne, and becoming the first player to win the medal twice. After his retirement, Ayres joined Geelong and was appointed senior coach in 1995. He led the Cats into the Grand Final with his first attempt. Awards: 13 times interstate representative; 1979 All Australian; 1979 Club Champion. Originally joined Hawthorn as a centre half-forward from the Frankston Peninsula. At his peak, Moore was recognised as the best full back in Australia with his razor sharp reflexes and uncanny anticipation. His reputation was built around his safe style of play, but from the mid 1970s he adopted a more attacking style. He remained cool under pressure and appeared to have plenty of time to set up his defence. Coach: 1942. Captain: 1932, 34, 38,40-41. Awards: 11 times interstate representative; 1933, 35, 39 Club Champion. A strong-marking, hard-working ruckman who also played at centre half-back. Despite his side often struggling, Mills was still regarded as a top-class player whose style was tough but fair. He possessed enviable disposal skills, with great spring and a quick kick. A fitness fanatic from Bethanga via Wangaratta, Mills both coached and captained the team during his time at Hawthorn. 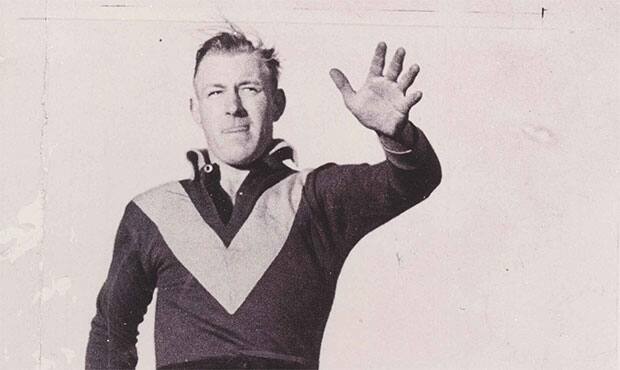 Awards: Two-time interstate representative; 1949 Club Champion; 1949 Brownlow Medallist. One of Hawthorn’s first VFL superstars. Austen initially had his heart set on playing for Carlton, but was zoned to Hawthorn and played five games in his first year. His brilliance in defence earned him a guernsey for every game in his second year, but he went on to play only two more games in the next four years. Austen lost the 1949 Brownlow Medal on a countback to South Melbourne’s Ron Clegg but was later reinstated as a Brownlow Medal winner. 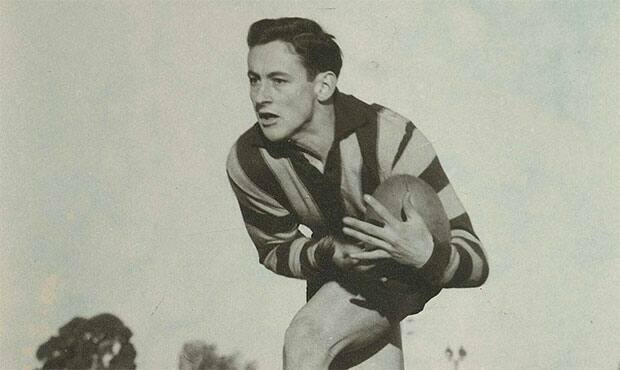 He quit Hawthorn in 1950 and joined the Tigers, ending his career as captain-coach of the Richmond reserves. A quiet achiever who earned the reputation as one of the best defenders of his era. With his strong marking ability and penetrating kick, Mew had the skills to foil even the best prepared attack. 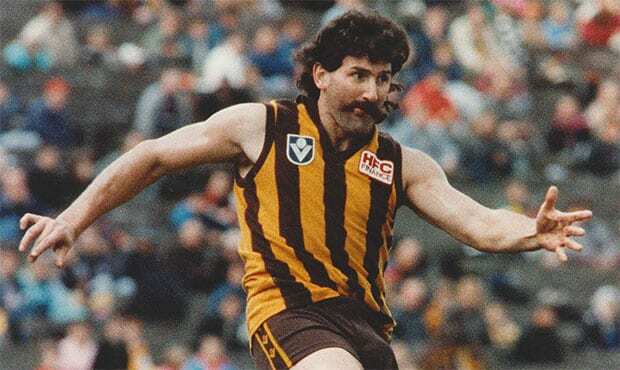 He played in four premierships for the Hawks before retiring to his home town of Rosebud following the 1989 Grand Final victory. 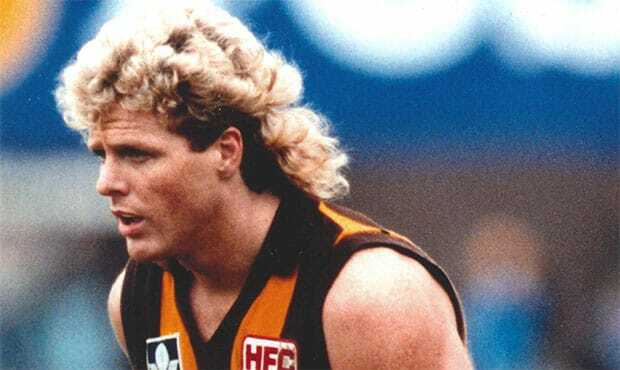 He rejoined the Hawks on Allan Jeans’ request and went on to play a vital role in the 1991 flag win, taking his premiership tally to five. Awards: Nine-time interstate representative; 1975 Club Champion. Noted for his spectacular and death-defying marks, Knights effectively sailed into greatness. His missed out on the 1976 Brownlow by three votes after being outed for seven games with a broken collarbone. He also missed the 1971 Grand Final through injury, but played in three subsequent premierships. 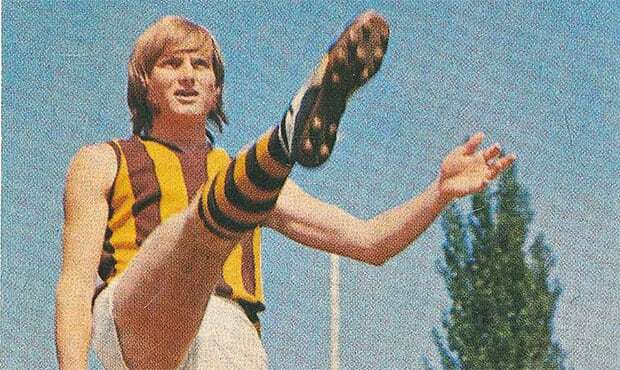 Knights predominantly played at centre half-back but had the versatility to switch to attack, heading the Hawks goalkicking in 1972 after Peter Hudson was injured. Niggling back and hamstring problems appeared to signal the end of his career in 1982, however he overcame them and went to play some of his best football. Following his retirement he became the first coach of fledgling AFL club Brisbane, and then went on to coach the Hawks from 1994-95. Awards: Six-time interstate representative; 1986 Brownlow Medallist. A character of the game who played the wings with unrivalled ferocity. 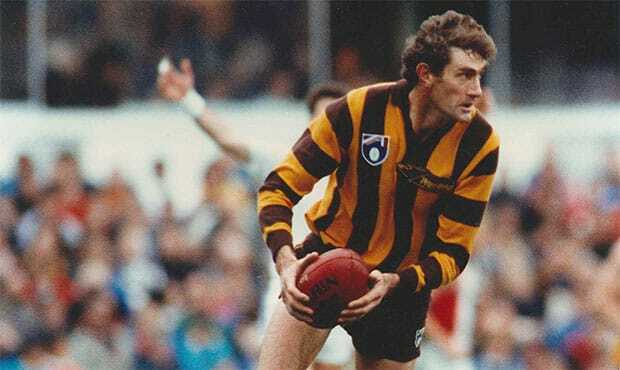 Despite taking a few years to establish himself, ‘Dipper’ went on to become one of Hawthorn’s finest. Tall for a winger, DiPierdomenico was renowned for his courageous style and quickly became popular with the fans. In 1986 he tied for the Brownlow Medal with the Swans’ Greg Williams, and played a heroic role in the 1989 Grand Final, when he played part of the match with a punctured lung. Awards: Two-time interstate representative; 1943, 45 Club Champion. A champion centreman who could also play at centre half forward. A master of the drop kick, Bohan had excellent skills on both sides. 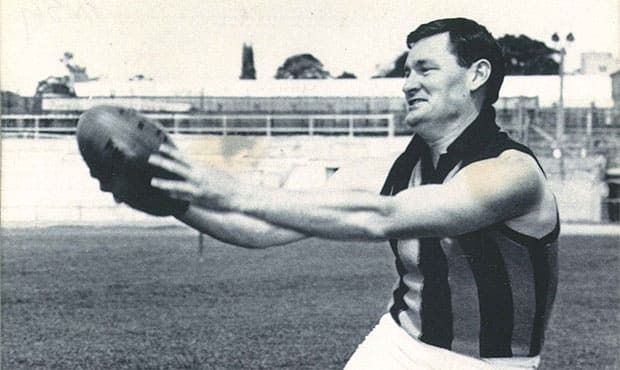 He captained Hawthorn for two years and won the best and fairest twice, yet he never played in the finals despite coming heart-breakingly close in 1943 when he booted four goals in the last round. “I cried all weekend,” he said years later. Awards: Eight-time interstate representative; 1960 Club Champion. A renowned fitness fanatic, Edwards was largely responsible for revolutionising the Hawthorn training schedule. Recruited from Sandhurst by ex-Hawk Kevin Curran, who signed him for 50 pounds. Ahead of his time, he took on extra training to improve his strength and fitness and soon had the whole club following his example. 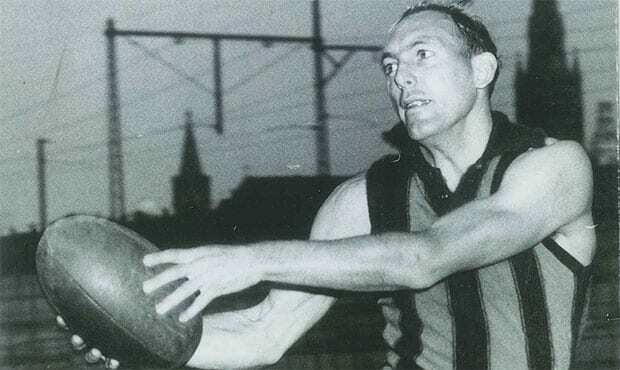 Edwards was a brilliant centreman with exceptional endurance, he played his 100th VFL game against Footscray in the 1961 Grand Final memorable by gathering 33 kicks. At 25 he retired from football, only to be coaxed back in 1963. A dislocated knee ended his career mid-season, but he found success elsewhere running fitness businesses. Awards: 12-time interstate representative; 1955, 58, 62 Club Champion. Arthur will always be remembered as captain of Hawthorn’s first premiership team in 1961. He set a club record by captaining the Hawks for nine years, including a two-year stint as captain-coach in 1964-65. He won three club best and fairests, the first of which came at the end of his debut season. The consummate team player, Arthur could have easily added to his goalkicking tally if he hadn’t handballed to teammates so often. He was an exceptional half forward flanker who used his strength to its maximum potential. 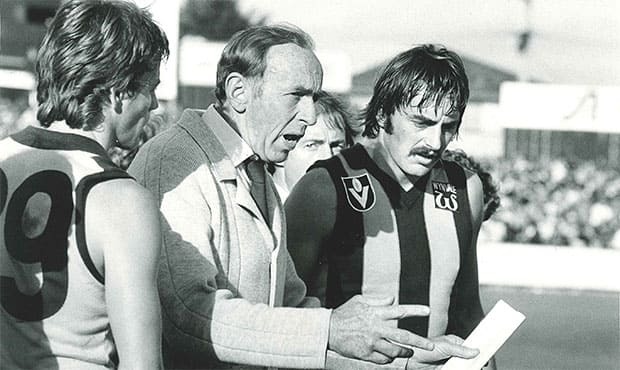 After retiring from the Hawks he coached Echuca but later returned to the Hawks and remains in an administrative capacity. Awards: Nine-time interstate representative; 1985 All Australian; 1985 Club Champion. A modern legend of the game, ‘The Kid’ had a natural flamboyance that became his trademark. 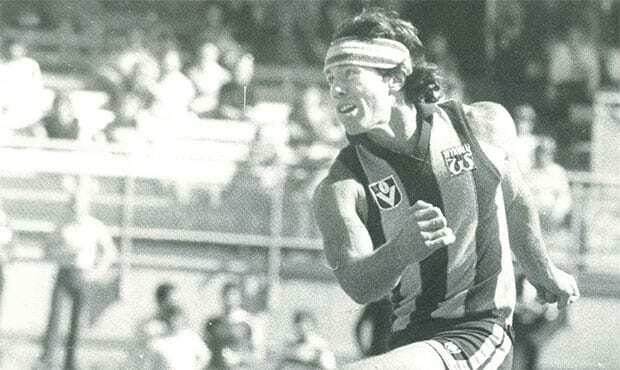 He was recruited from the Frankston Rovers and debuted in 1982, kicking five goals in his first match against North Melbourne in the first semi-final. His hard style of play left him with many injuries, yet his courage allowed him to keep playing at the highest level. This tenacity was exemplified in the 1989 Grand Final when Cat Mark Yeates ran through him in the opening moments. Despite the heavy knock, Brereton bounced back to kick a goal and secured himself a place in football folklore. A veteran of eight Grand Finals and five premierships, Brereton also is a club best and fairest winner and represented Victoria nine times. In 1994 he left the Hawks in unfortunate circumstances and joined the Sydney Swans before finally ending his career at Collingwood. He then developed a high media profile, moving into both television and radio. He also coached the Australian team in the International Rules series against Ireland. Premierships: 1983, 86, 88, 89. Night premierships: 1986, 88. Finals appearances: 18. Awards: 14-time interstate representative (WA); All Australian 1983, 85, 86, 88. Recruited from Subiaco, Buckenara was a highly-skilled onballer who could also play on the half-forward flank. 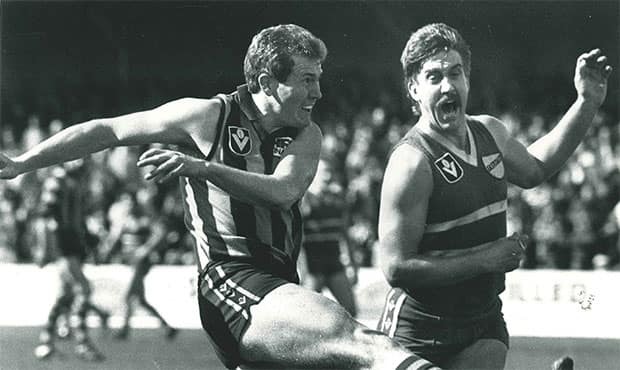 A superb mark with uncanny goalkicking accuracy, he is perhaps best-remembered for kicking the winning goal after the siren against Melbourne in the 1987 preliminary final. 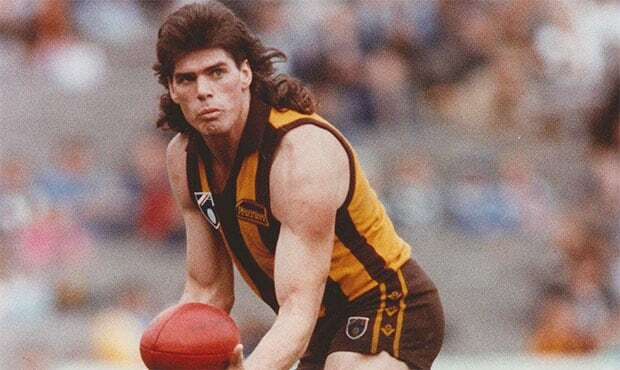 Coach Allan Jeans once described him as Hawthorn’s ‘best big game player’. Buckenara coached the Sydney Swans for one year following the end of his playing career. As a cricketer, he made the WA squad. Premierships: 1986, 88, 89, 91. Night premierships: 1985, 86, 88, 91, 92. Finals appearances: 21. Awards: Eight-time interstate representative; 1992, 94 All Australian; 12-times leading goalkicker; 1988, 89, 92, 93, Club Champion; 1988, 89, 92, Coleman Medallist. 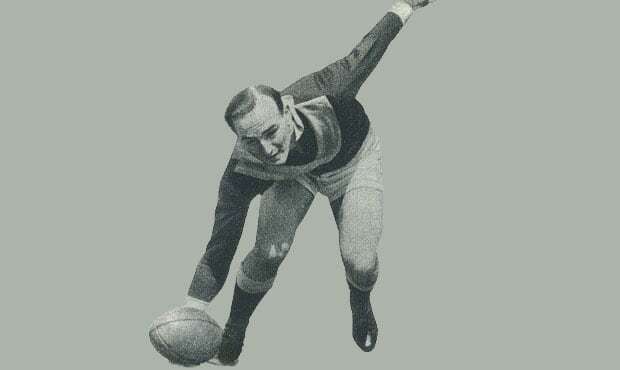 One of the game’s greatest full-forwards, Dunstall’s fast leading and strong marking made him virtually unbeatable in one-on-one situations. Originally from Coorparoo, Queensland, he looked anything but a champion when he first arrived at Glenferrie. At the beginning of his career he shared the full-forward position with another great, Leigh Matthews, but by 1986 he established himself as a genuine superstar. An ankle injury forced him to miss the 1987 Grand Final, and a fractured skull in 1990 forced him to wear a helmet for some time. 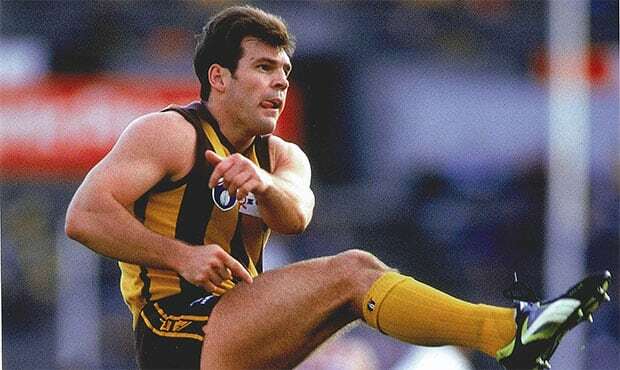 Dunstall headed Hawthorn’s goalkicking from 1986-96 and kicked over 100 goals in a season on six occasions. In 1992 he ran second in the Brownlow Medal and booted 17 goals against Richmond to fall just one goal short of the all-time record. He captained the club from 1995 to his retirement at the end of 1998. Premierships: 1971. Night premierships: 1967, 68, 77. Finals appearances: 5. Awards: Eight-time interstate representative; 1969 All Australian; six-time leading goalkicker; 1968, 70 Club Champion. Arguably the greatest ever full-forward with an incredible average of 5.59 goals per game. The average exceeds any other player in VFL/AFL history. He kicked over 100 goals in a season on four consecutive occasions and in 1971 equalled Bob Pratt’s record of 150 goals in a season. A serious knee injury in the opening round of 1972 threatened to end his career prematurely, but although it took him five years he returned to football in 1977. Awards: 15-times interstate representative (SA); 1984-89, 92 All Australian; 1987, 94 Club Champion; 1987 Brownlow Medallist. The ‘Rat’, as he affectionately became known, was one of the most sought-after rovers in Australia after winning the 1984 Magarey Medal. With his unruly tangle of curls he was a distinctive figure on the field with tremendous tenacity and the ability to accumulate possessions week after week. His capped an exciting debut year with a premiership and went on to play in three other premierships. In 1987 he shared the Brownlow Medal with Tony Lockett and won All-Australian honours from 1988-92. Platten was dogged by a knee injury throughout the 1990 season but came back in typical fashion and in 1993 played in his 17th AFL final. He finally finished up in 1997 and returned to his home state of South Australia. 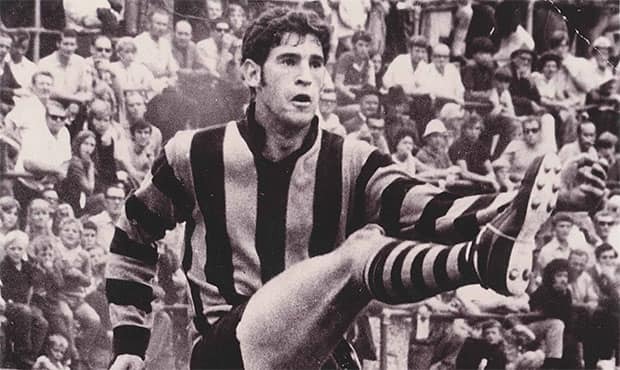 Awards: Four-time interstate representative; 1973 Club Champion. Scott was a fierce competitor who used his weight and aggression at the ball to become one of the most feared ruckmen of his era. A Box Hill recruit who was relatively short for a ruckman, he nevertheless made up for his lack of height with superb fitness levels and competitive approach. 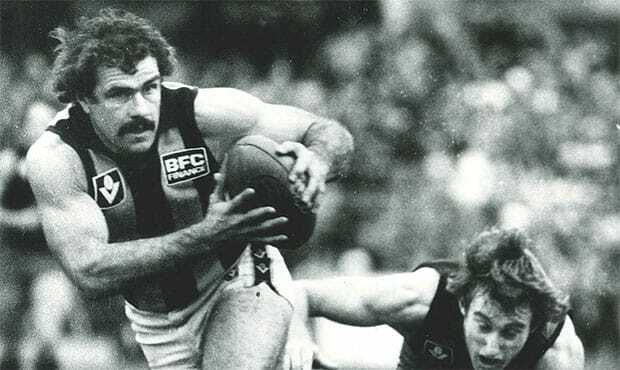 Scott skippered the Hawks from 1976-80 and won the club’s best and fairest in 1973. He was reported 15 times yet was only outed for a total of 11 matched throughout his career. In 1996 he spearheaded the Operation Payback campaign in a desperate attempt to stop Hawthorn from merging with Melbourne and his hard work was rewarded with the club opting to stand alone. Premierships: 1976, 78, 83, 86, 88, 89, 91. Night premierships: 1977, 85, 86, 88. Finals appearances: 39. Awards: 11-times interstate representative: 1979, 83, 84, All Australian representative. Holds the VFL/AFL record for the most senior games played after amassing a total of 426 matches throughout his 19-year career. He started off slowly and took several years to secure a place in the senior side and found his niche as a ruck rover. Lean and wiry, Tuck’s phenomenal endurance and deceptive strength made him one of the most valuable players in history. David Parkin was once quoted as having said that Tuck was “one of the best run-on type of player he had ever seen”. Despite his epic career he received few individual accolades – more a reflection of his commitment as a team player than personal ability. Hawthorn’s most successful captain, leading the club to four premierships. Premierships: 1971, 76, 78, 83. Night premierships: 1969, 77. Finals appearances: 29. Awards: 14-time interstate representative; six-time leading goalkicker; 1971, 72, 74, 76, 77, 78, 80, 82 Club Champion. Nicknamed ‘Lethal’ in his career because of his absolute lack of fear as well as his goal scoring ability. Built like a tank, he was an unusual physique for a rover but became something of a pocket dynamo with excellent judgement and anticipation. 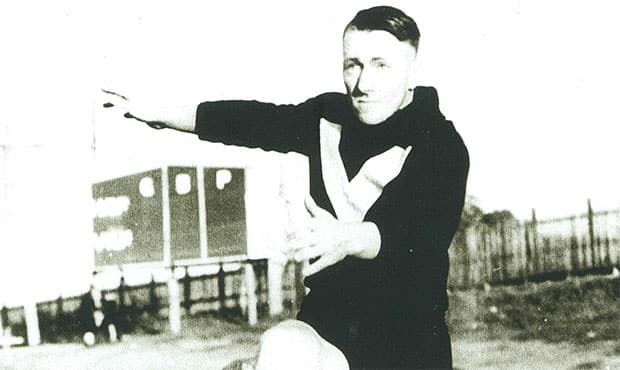 Towards the end of his playing career he shifted to the forward line with telling effect, with his 915 goals placing him fourth on the VFL’s all-time goalkicking list. His calibre as a player is demonstrated by his eight Club Champion awards received at a time when Hawthorn was a powerful team boasting some of the competition’s greatest players. 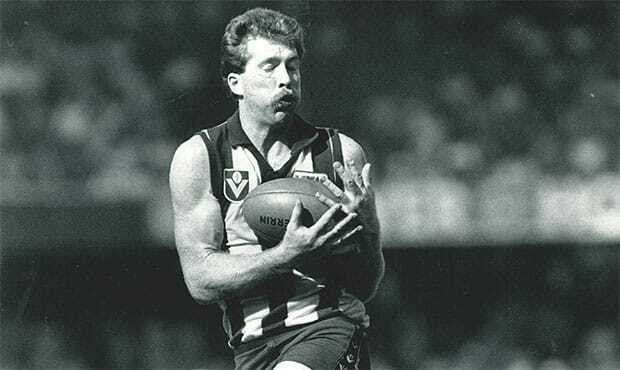 Matthews went on to enjoy further success off-field, coaching Collingwood to a flag in 1990. After leaving his coaching position he won acclaim as a television commentator before being coaxed back to the coach’s box again, this time with the Brisbane Lions winning three premierships in 2001, 2002 and 2003. Premierships: 1986, 88, 89, 91. Night premierships: 1986, 88, 91, 92. Finals appearances: 25. Awards: 15-time interstate representative; 1987, 88, 89, 94 All Australian. A champion full-back whose consistency and strength were typical of Hawthorn during this era. He missed the 1984 Grand Final after being dropped at the last minute and didn’t get a taste of premiership victory until 1986. One of the few modern-era players who could combine an off-field career with football at the elite level and still play well. In 1996 he informed the club that it was doubtful he would continue after taking up a position in Sydney, however the club retained him and when to extreme lengths to make the situation workable. Langford was allowed to train in Sydney on his own or with the North Shore Football Club, and the club even accepted him missing a game mid-1996 for business reasons. 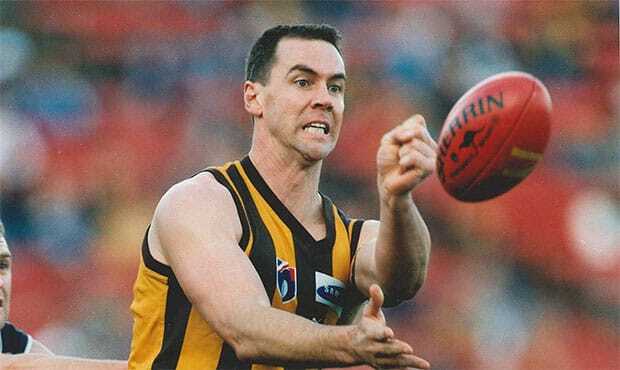 In the last game of 1996 Langford showed his passion for the club by removing his jumper and waving it in the air following the Hawks’ one-point win over Melbourne in the year of the failed merger. He fiercely opposed the merger, describing it as ‘sacrilegious’ and ‘totally disrespectful’. Awards: Six-time interstate representative; 1961, 63, 64 Club Champion. A rover recruited by Hawthorn from Old Scotch, Law was fast and clever and had the ability to kick with either foot. He also played cricket at state level. He made 1961 his own, winning the club best and fairest, running third in the Brownlow Medal and playing in Hawthorn’s first premiership. His career began to wind up in 1966 when he spent the year overseas, only to suffer a debilitating ankle injury upon his return in 1967. Night premierships: 1999. Finals appearances: 3. Awards: 1997 All Australian; 1996, 97 Club Champion, 1999 Michael Tuck Medal. Standing an immense 205cm, Salmon was one of the tallest players in League history. He began his career at Essendon, where he made his name as a full-forward where his superior height helped him kick a multitude of goals. 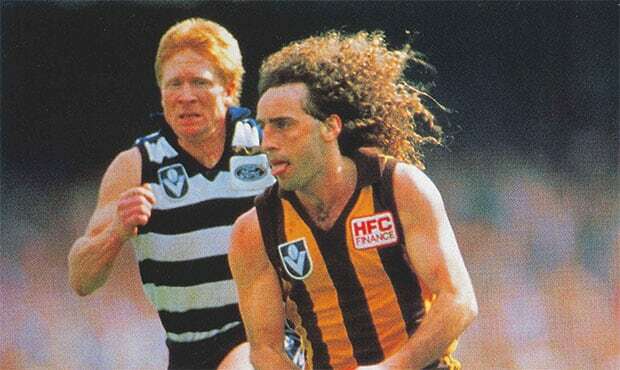 He moved to Hawthorn in 1996 where he took over the key rucking position, a dream he had long held. He won the Club Champion award in his first two years at the club and in 1997 also won All-Australian selection. In his final year with the Hawks he passed the 300-game milestone, a true legend of the game. Awards: Four-time interstate representative; 1956 Club Champion. A rugged half-back who was also renowned around Glenferrie for his talent on the banjo. Strong, versatile and courageous, he could hold down a position as a centreman, rover or back pocket. His inspiring dashes from the back line could change a game, and although not always an accurate kick he showed no fear. Sadly he just missed a place in the 1961 premiership side.